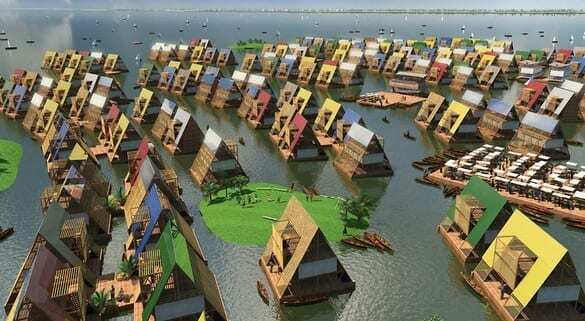 His first project–what he calls a “seed to cultivate a new type of urbanism on water in African cities”–is a floating school. The three-story structure is 108 square-feet at its base, and 33 feet high. It sits on a floatation deck made of 256 used plastic drums. And the body is all wood, which is sourced locally. The idea is keep things relatively cheap: Adeyemi estimates it will cost about $6,250.